How wide should a chandelier be? 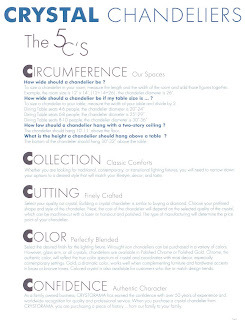 Measure the length & the width of the room and add those figures together (and make them inches). For example, if your room is 12' x 14', 12 + 14 = 26, so your chandelier should be about 26" wide (give or take a couple of inches). How low should a chandelier hang with a two-story ceiling? The chandelier should hang 10-11' above the floor. What is the height a chandelier should hang above a table? The bottom of the chandelier should hang 30-32" above the table (which is usually about 5' off the floor). Please remember that all of this info is also on Crystorama's web site. 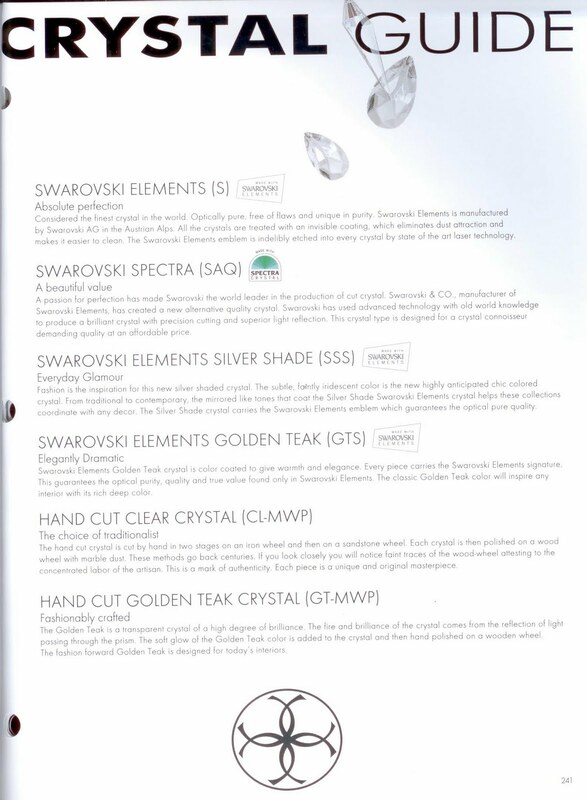 Swarovski Elements used to be called "Strass" ~ it's the most optically pure and has an invisible coating that makes it easier to clean. 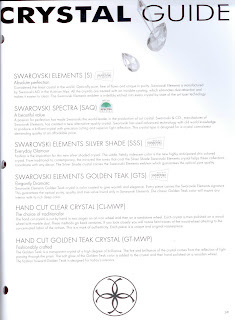 Swarovski Spectra is a wonderful alternative crystal. It is still brilliant with superior light reflections. Hand-cut Clear Crystal is the choice of traditionalists. It's hand cut and then polished on a wood wheel with marble dust. Silver Shade & Golden Teak are the newest colored crystals ~ great for the glamour look, or added elegance. Stay tuned ~ they're planning to also launch a Twitter page very soon! 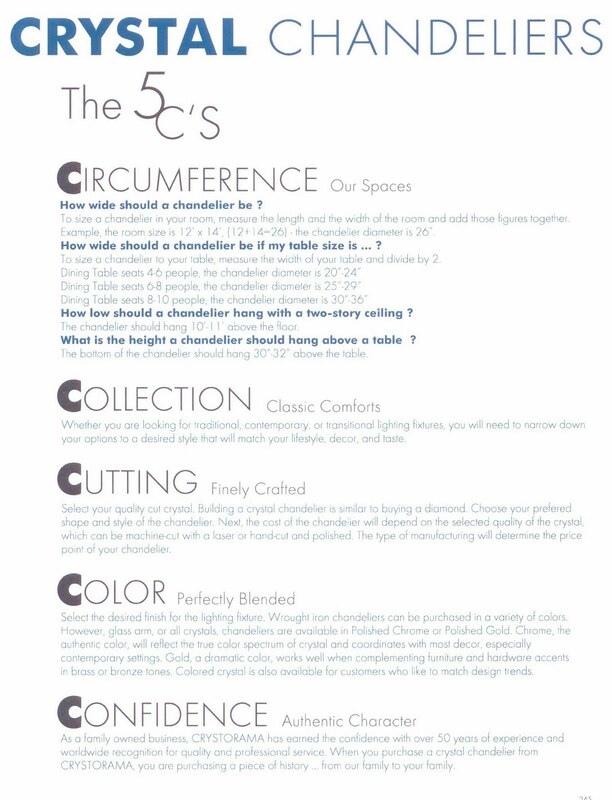 Thanks again to Crystorama Lighting for sharing their great tips!